Russia supports the applications of India and Brazil for permanent membership in UN Security Council, while the presence of an African country in this structure is also necessary, Russian Foreign Ministry Sergey Lavrov told TASS First Deputy Director General Mikhail Gusman in an exclusive interview ahead of the next session of the UN General Assembly devoted to the 70 anniversary of the United Nations. Lavrov said that "UN Security Council remains viable and preserves everything necessary to play a central role in solving international crises in the future." "It was reformed. The number of UN Security Council members was increased from 11 to 15, and now a new wave of expansion is being discussed," he reminded. "We support this process. We think that developing countries of Asia, Africa and Latin America are under-represented in UN Security Council. 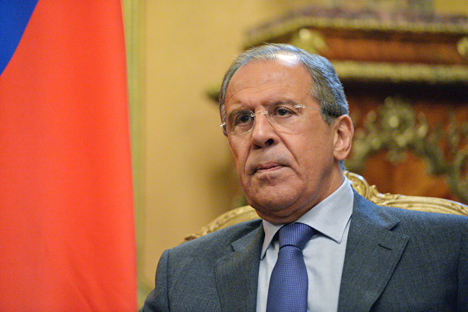 That is why we support applications of India and Brazil for permanent membership in Security Council," Lavrov stressed. "We think that the African continent should be similarly represented in the structure because, I will stress it again, developing countries are under-represented and their role is insufficient in the work of this main institution." However, it is important to promote such a reform "that will not make UN Security Council uncontrolled, exceedingly amorphous, overblown institution." "The efficiency of its work is one of the key principles along with appropriate representation of all regions, all centers of global development. Somewhere around slightly more than 20 members — I think, that is the threshold that should be considered."